Guilloché — RGM Watch Co.
A centuries-old craft that, today, involves the use of antique machines to engrave delicate patterns on metal watch components. The fruits of this craft, very nearly a lost art, can be found adorning all manner of watch parts including cases, dials and movements. Engine turning is the act of cutting geometric patterns in a rotating metal surface with a stationary cutting tool called a rose engine. A similar type of engraving can be done with a straight-line engine, which is used for such patterns cut either vertically or horizontally. Though it is a craft mainly associated with traditional centers of fine watchmaking and jewelry (Switzerland & Germany), guilloché has also been practiced in the USA and is yet another American watchmaking tradition that RGM seeks to keep alive. 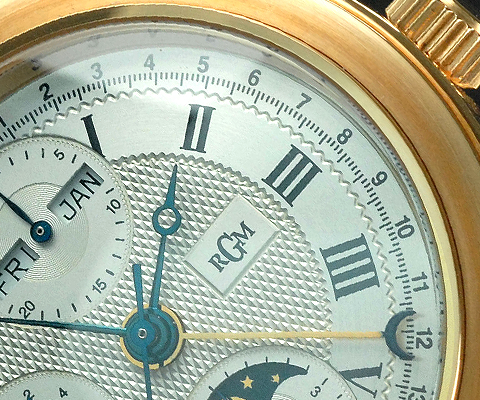 Their dedication to pursuing the craft of guilloché in-house and their continued support of the master engravers they have previously relied upon means that you are likely to see many more stunning watches in the RGM product line. 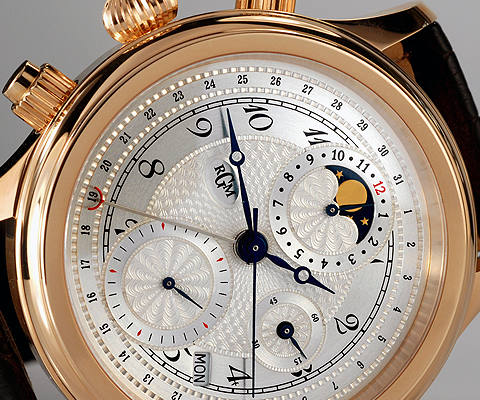 The options available for the creation of unique, custom watches are also staggering. 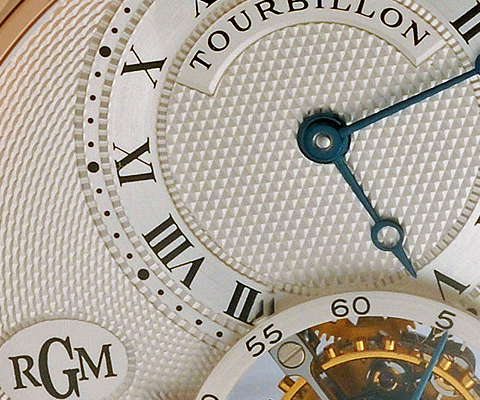 Perhaps no other watch company in the world can offer timepieces that have been designed, assembled and decorated with guilloché (Engine-Turning) by the same hand.